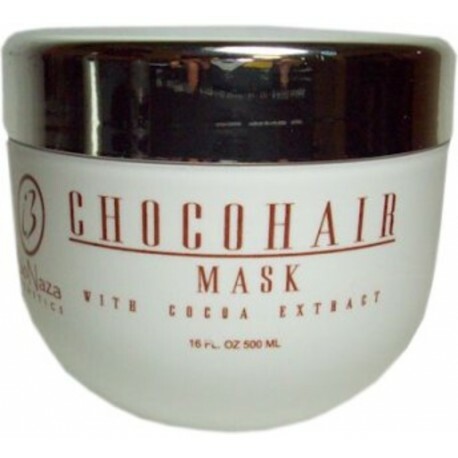 BioNaza ChocoHair Mask with Cocoa Extract 16oz / 500ml - Just Beauty Products, Inc.
CHOCOHAIR MASK with cocoa extract. Enriched with botanical extracts and emollient properties to give complete restoration for dry, damaged and broken hair. How to use: Wash the hair with Bionaza Shampoo. 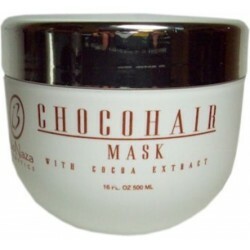 Distribute mask evenly onto hair and massage for 3 minutes. Rinse and style as desired. Ingredients: Water(Aqua), Stearamidopropyl Dimethylamine, Lactic Acid, Propylene Glycol, PEG-8, Palmitoyl Myristyl Serinate, Hyaluronic Acid, Fragrance, EDTA, Sodium Benzoate, Potassium Sorbate, Keratin Amino Acids, Cocos Nucifera (Coconut) Oil, Olea Europaea (Olive) Fruit Oil, Canola Oil, Triticum Vulgare (Wheat) Germ Oil.